Visit Your Favorite Gresham Dentist! Now you can get the Brookside Dental service you love in two different locations. We have offices in Clackamas and Gresham to help meet your dentistry needs. Your dentist in Gresham is here for you. At Brookside Dental we are known for our comprehensive view of treatment and health. We understand the impact that your oral health can have on your overall health, and we will work with you individually to help you feel healthy and beautiful. When you visit our Gresham office, you can expect a warm environment and a friendly staff that wants to get to know you. To find out more about our Gresham office and other office locations call us today. Cosmetic Dentistry | Cosmetic dentistry services from your dentist in Gresham can make a difference in your confidence and self esteem. With cosmetic dentistry treatments, we can fix the appearance of tooth damage and change the way you feel about your smile. We offer professional teeth whitening services at our office. We also offer porcelain veneers and cosmetic bonding options that can reshape your smile. 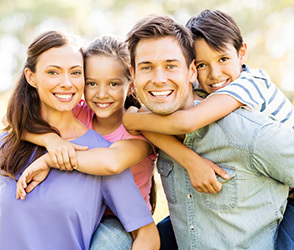 Family Dentistry | At our practice, we care about you and your loved ones. Your Gresham dentist treats children of all ages, adults, and senior citizens. Our general and family dentistry services can keep your teeth healthy and prevent dental problems. We recommend a checkup and professional cleaning every six months. Dental Implants | We have the experience and technical knowledge to place and restore dental implants. When you choose implant dentistry from Brookside Dental, you can have your entire procedure done in one convenient location. Our dental implants are perfect restorative options for patients who are missing teeth. We can also use our implants to secure implant supported dentures. Schedule an appointment with your Gresham dentist today by calling us at our office.